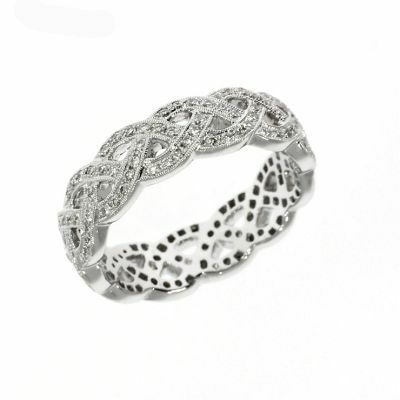 A dress ring is an accessory that is worn entirely as a fashion statement, and usually dress rings possess no additional significance or traditional meaning. Dress rings are created entirely to make a bold statement, and a full assortment of designs are available to be worn either on a day-to-day basis, or reserved for the most ostentatious of dress occasions. Making a statement doesn’t have to mean that a piece of jewellery needs to become gaudy in appearance though, and often a more restrained item can be far more visually appealing. Diamonds have traditionally become associated with love, and are widely used in engagement rings, but that same intrinsic sense of quality also makes them ideally suited for a dress rings. Diamonds never go out of fashion, and because they transcend the boundaries of modern and classic settings, they continue to see indefinite use within a full range of environments. Equally suited to day wear or evening wear, our sophisticated diamond dress rings are the definitive way to attract attention without ever resorting to a jewellery item that is unreasonably flashy. 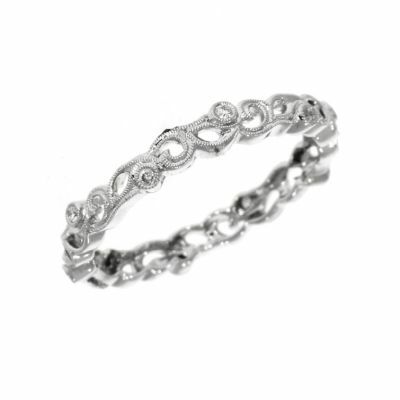 At Banks Lyon, our selection of diamond dress rings is guaranteed to catch the eye at any party or business occasion. 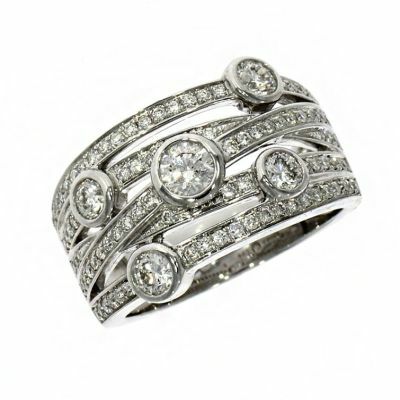 We supply diamond dress rings made from premium quality 18 carat white and yellow gold, and also in platinum for an added touch of distinction. The fact that each of these dress rings contains diamonds does not mean that all conform to similar aesthetics though, and the number and settings of our professionally cut diamonds ensures that each of our dress rings has a truly striking appearance. The stones within all of our diamond dress rings adhere to a different style of cut, so a comprehensive array of tastes can be satisfied. Our professional team has years of experience when it comes to dealing with diamonds, as here at Banks Lyon we are proud to be a qualified diamond merchant; supplying a range of diamond sizes for a vast mixture of purposes. 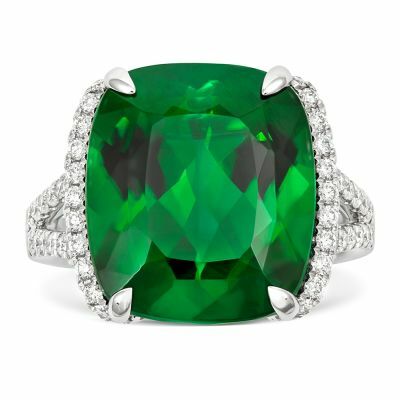 Because of this particular expertise and our inimitable reputation for high quality customer service, we are an ideal retailer to visit if you’re looking for authentic diamond dress rings. Buying from Banks Lyon ensures that you are purchasing jewellery from a consummately reliable source, so contact us if you have any further questions and we will be pleased to assist you.